XP is an international conference on agile software development. It takes place in a different country every year. 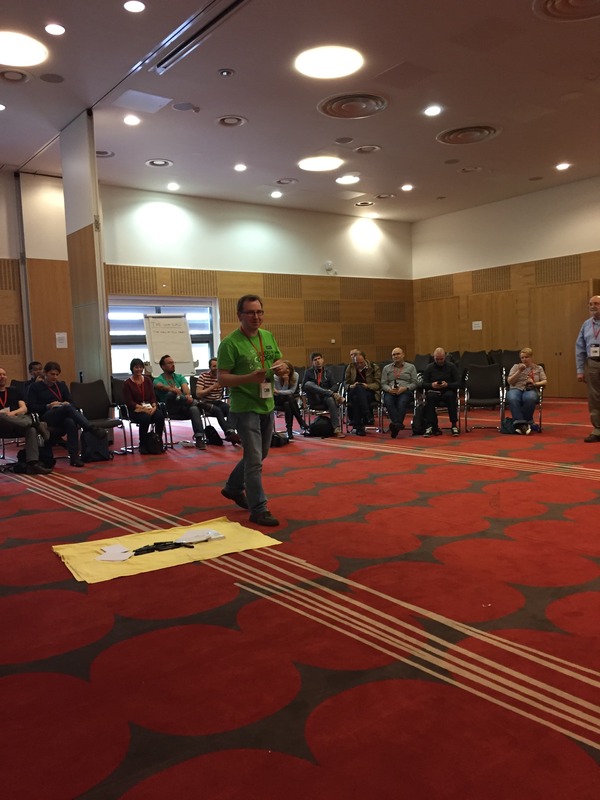 This year XP was hosted in Edinburgh, Scotland, at the John McIntyre Conference Centre and Pollock Halls Campus, from Tuesday 24th May 2016 to Friday 27th May 2016. I arrived in Edinburgh on Sunday the 22nd of May. I was really excited because I did not know what to expect. After all, it was my first time at a conference like that, and I am quite new with this whole software development “thing”. Consequently, I spent most of Monday attacking my fellow codecentric colleagues with questions, and thanks to their answers I started to calm down and really looked forward to the next day. It was very interesting for me, because I had never heard about Mob Programming before, and he gave us a good introduction. Later, we dived into a hands-on workshop, where we split up into two “mobs” and worked on the Roman Numerals kata together. I really liked the workshop and learned a lot. If anything, the hands-on session was a bit too long, and I felt like we did not agree on a concrete “result”. Also, some of my questions were left unanswered, such as: Which qualities should team members have? What kind of projects benefit from Mob Programming in general? I would still have a problem deciding whether this approach is suitable for my project or not. I feel like maybe including some more practical anecdotes might have helped. Afterwards, we met a lot of the other conference participants at the Center for an “ice breaker” event, and subsequently, “Dinner with an Agile Stranger”. That was a very cool idea: The organizers had put up walls with the menus of a rich selection of restaurants, where we each could sign up for a limited amount of seats – on the one hand, we had a very fantastic dinner (in my case: Indian cuisine at the Voujon , quite excellent! ), and on the other hand, we got to know other attendees we had never met before. On the next day, I really was spoilt for choice. There were eight different sessions for each of the four session blocks of the day. My first choice was a session called “Supercharge your product backlog with User Stories” by Suzanne Morrison and Laz Allen. It was organized like a workshop: We split into teams, and iteratively learned some things, such as how to organize a product backlog, how to create a “good” user story, and how to split stories. For each of these topics, we then did some practical work. To be honest, it was quite overwhelming. All this we had to carry out in sixty minutes – what a hurry! To me, that resulted in less detailed information and partly incomprehensible explanations. My personal luck and help was my seating: I sat directly next to an Agile coach from Denmark. I think everybody can imagine what I did: I asked him question after question to understand everything better. For the next block, I went to Dan North’s talk “Beyond Features: rethinking agile planning and tracking”. I am still impressed: I think I could listen to him talk about anything – and understand it perfectly. A lot could be told about this session, but the one thing that really resonated with me is that we have to shorten the cycle time between idea and feedback, to reduce frustration and produce motivation. If you get a chance – see Dan North. It was a really great experience. My last session of this day was a workshop that took more than two hours: It was about “Hunting Value with Structured Conversations” by Steve Holyer. Structured Conversations are an idea taken from the book “Discover to Deliver” by Ellen Gottesdiener and Mary Gorman, where the process of a team finding out the business value of requirements provided by the product owner is defined as an “explore-evaluate-confirm” loop. We split into teams again, and one of us was designated as the product owner, who was the focus of the questions. Then we each took turns as the person asking the questions, and the other team members had to listen and provide feedback afterwards. I think this approach is quite useful, and I learned a lot from this session, especially through the feedback I received from my team. In the evening I joined my first Open Space, and a nice whisky tasting. On the third day, I listened to a lot of talks. “Happiness Doesn’t Deliver Software. So Should You Use It as a Measure?” by Katherine Kirk and Pawel Brodzinski was quite interesting. They explored the question: How important is feeling happy for the quality of your work, as well as for the quality of your products? Can its effects be measured? A very complex topic, but my essential take-away is: Very. And yes. Pawel Brodzinskis talk “Extreme Self-Management: An Alternative Path of Organizational Design” was about his approach to knowledge, and how taking employee autonomy to the extreme works very well for his company. He showed a lot of advantages for everyone involved, but raised the concern that it might not work for companies of more than 25 people. I also visited some talks with a more scientific background. In my opinion, they all seemed to suffer from the same two problems: First, that research methods were not explained understandably, or were not suitable for their respective hypotheses. Second, that I could not really recognize any public benefit regarding the research subject. In the evening there was a very cool keynote about “Agile Apocrypha and an Ad-hoc Manifesto”. It was so cool, and pure entertainment. They played around with a few parts of the Agile Manifesto, provided “creative” historical background information on its inception, and created nice pictures with Lego figures and a blue screen, where they could add post-its to the presentation. Needless to say, they finished with a big BANG. 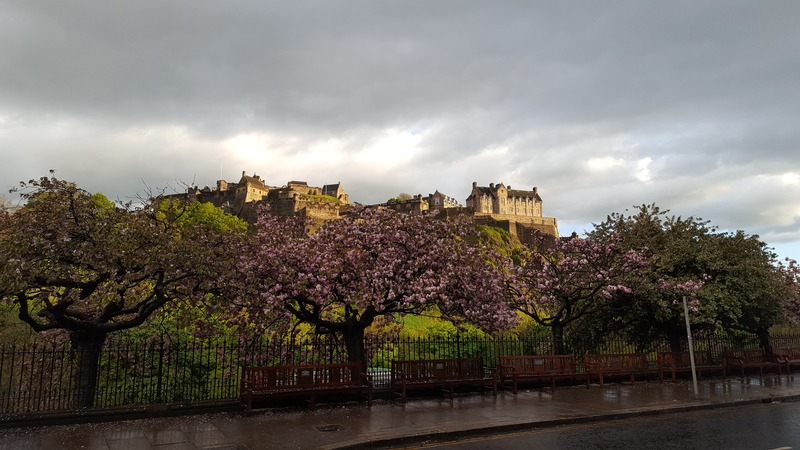 Afterwards we walked through the Scottish rain to the conference party at Edinburgh castle. It was very cool that every part of the castle museum was open for exploration. We had enough time to inspect the historical pieces, as well as the metal throne from “Game of Thrones”, and were greeted by actors in historical costumes, swordplay included. This session was quite enlightening for me. EXCELLENT! 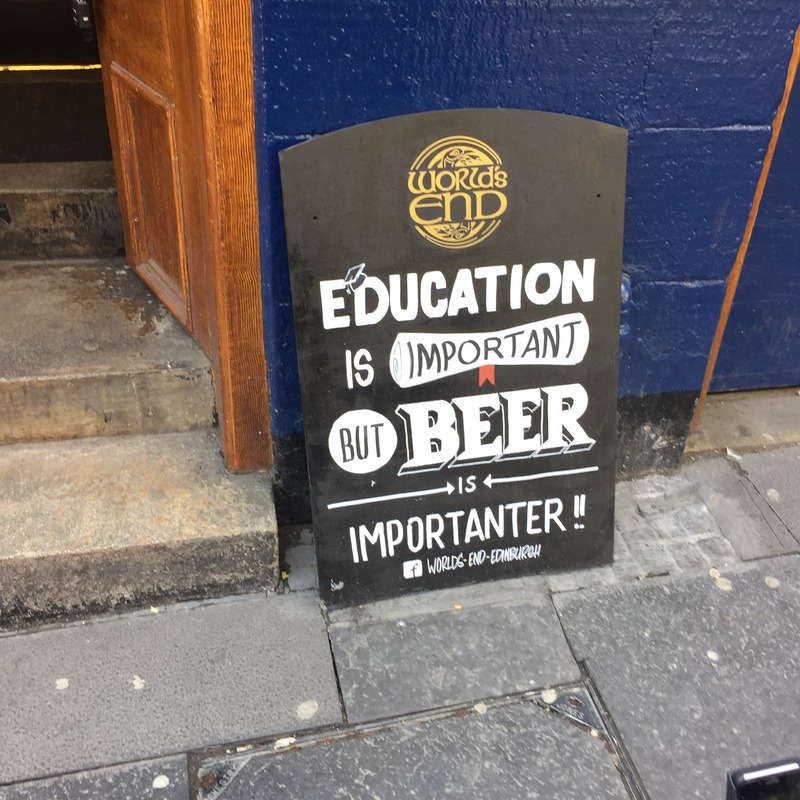 All in all, I can say that the XP2016 in Edinburgh was a really great experience for me! Of course, we could have taken the bus, but walking was so much nicer, especially in the rain. XP Conference is the place to meet likeminded agilists and share your insights! XP 2017 will take place in Cologne, Germany. codecentric is honored to be the local organizer.